The Maid Company is conceptualized by ‘On Demand Cleaning Services’ which is a part of Pact Employment Services, keeping in mind the cleaning requirements of every resident of Dubai whether the resident lives in a Villa, a Duplex or a Flat. As an ISO 9000:2008 certified company we believe in the highest quality standards and continue the same ethos in the services we offer. We provide unique hassle free domestic helper services. Whether you need domestic help for a few hours or for a year we have the solution. Having served more than 15000+ clients, with a strong well trained professional team, we have built a solid foundation as a result of our strong relationship with our clients. Our maids are friendly, reliable, trained and thorough in their work, so satisfaction is guaranteed! 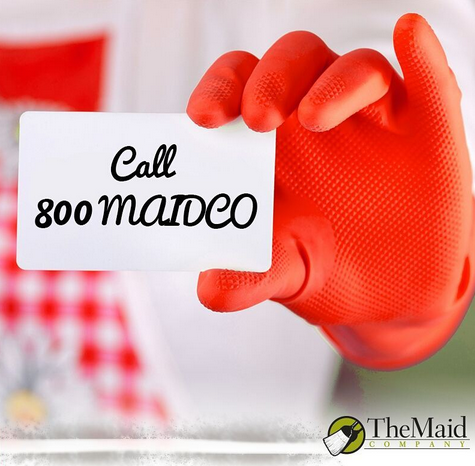 At The Maid Company, we are passionate about delivering honest, reliable and quality Maids and cleaning services which is reflected in our attention to detail, customer care and regular client referrals. We understand that sometimes a little help around the house 1, 2 or 3 times a week can make a difference in you keeping on top of a busy domestic schedule. Whether it’s a one off activity or a regular weekly routine, let our professionally trained and friendly maids take care of your cleaning, ironing and household chores.